Rated 5 out of 5 by naradoe28 from Excellent! - Want more! This was a thoroughly fun adventure, with great banter between the characters. My teenage daughter also enjoyed it! :) Definitely one you'll play again. Now waiting for the sequel!!! Rated 5 out of 5 by Sirchchris from review an interesting adventure with a good story, good characters and good to play. One of my favorites. Rated 5 out of 5 by PurpleMyth83 from Great fun puzzle/exploration game. Wonderful puzzles and fun exploring and putting things together. Love the character interactions that are added on; funny, fiesty, and sort of flirtatious. This game reminds me of dream chronicles and drawn painted tower if you love those. I think I can say this is my favorite puzzle adventure game and was so pleased that I did not get tricked into buying an i-spy game that looks like an puz/adv game. GREAT!!! Rated 5 out of 5 by goddess1994 from Most Fun And Approved Game It's the best and most fun hidden object game I've played ever.The storyline is perfect in my oppion it's just amazingly fun and....... well it's the most fun game I've played in my life irratating sometimes but fun overall.I approve this game for everyone kids to the eldest adult ever.So i say go bye this game or try it for an hour and just enjoy the game!!!!! Rated 5 out of 5 by MOXIEOH from The most fun we've had We've played Adventure/HOG games for over 2 years. We put them up on the T.V. and play together. This one was our favorite... not because it is the best game for puzzles/hogs, but because there are two roles in this game and we each played a role. It was fun. Our only negative, and I'm sure others found this true, there are annoyingly long dialog boxes. But they're cute. Loved it. Rated 5 out of 5 by KhushB from BUY IT!!! Love Love Love this game. Love the concept of taking turns to be two characters Loreen and Nathaniel (who start by fighting each other) so it is like you are trying to outsmart yourself. Graphics is awesome. 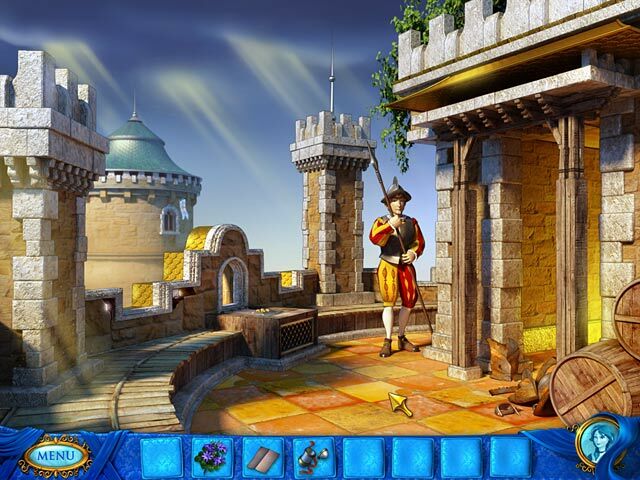 Its very difficult to find an adventure game without being a hidden object game. So this is a welcome change. Rated 5 out of 5 by lowbrown from Super fun wish there were more lighthearted games like this Awesome game if you liked Monkey Island way back in the 90s. Wish there were 100 more games like this -- who needs creepy/spooky when you can laugh and have a true "escapist" fun time?? Rated 5 out of 5 by phoenix232 from SUPER FUN! it's so fun i've tried this game before in my ipod it wasn't a full game only ahalf but i reasearched it here in the computer and lucky me i just found it now i can play it in full version T.Y. Rated 5 out of 5 by LavaReign from my new fave! This is now my favorite HO game! I loved the humor, the ability to play as different characters, the witty banter is what made it so great. The puzzles were challenging and interesting, and relevant to the story line, which is rare. The graphics were vivid and clear. It reminded me of a Shrek-like movie that included puzzles and HO throughout. I definitely recommend, and wish more HO games were made this way! My only complaint, I wish it lasted longer! Rated 5 out of 5 by pheonix21 from This is just a fun game. Period! I got this game when it first came out and loved it. It is just fun. Sick of all the dark, occult games. This game has a really, cute story and hilarious dialogue. If you like the movie 'The Princess Bride' and like it. You will love this game. I hope they make more of them. Kudos. Especially as a $2.99 special grab it and have a fun adventure. It's not hard, just a good time for light entertainment. Rated 5 out of 5 by GrrlScientist from so much fun that my morning coffee went cold what happens when you take two 21st century personalities and somehow put them into two mediaeval characters? this hilarious hidden object puzzle adventure proposes one amusing answer to that question. 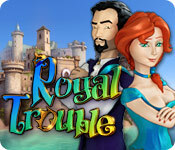 in this game, you take turns playing the independent Princess Loreen and the appropriately miffed Prince Nathaniel, both of whom have been kidnapped and imprisoned in a castle on a remote island. somehow, you have to get these two mutually suspicious people to stop their arguing long enough to work together to gain their freedom. graphics: really lovely artwork; clean, colourful and crisp. useful objects are located throughout the story instead of being inside a series of dedicated hidden object scenes, so i don't think of this as a traditional hidden object game. a fair number of the collected objects have to be combined before you can use them -- lighting a candle, etc. the puzzles were unexceptional. most were variations on the unlock-the-lock or piece-together-a-torn-up-note themes, and were easy to solve, so no frustrations there. music and sound effects: nothing special, although i was pleasantly surprised and pleased to hear the yellow warbler song during one scene. voiceovers were well-done -- the voice sounded appropriately sardonic (or was that just my imagination?) storyline: strongly character-driven. the characters in this story are as sweet, distinctive and interesting as any i've ever seen in any video game. they are just so charming and funny that they bring a smile to your face and you can't help but care about them. the entire story is set up to showcase the interactions between the prince and princess: there's nothing sinister in this story, and the goals are simple and clear. gameplay: cursor changes to gears, a magnifying glass or a hand when you mouse over appropriate objects. no sparkles. puzzles can be skipped. no map, but there is little back-and-forth, so a map is unnecessary. a diary is provided -- with hints, each one more specific than the one prior. the diary conveniently keeps up with where you are in the game, too. scene transitions are smooth, and there’s no cursor freezes. my only complaint is this is a short game, but since it's the daily deal, i think it's well worth the price. my interaction: one hour demo. i purchased this game -- with a smile on my face! i enjoyed this sweet little game so much that my morning coffee went cold whilst i played it -- and that's quite an accomplishment! Rated 5 out of 5 by Hookedonbigfish from Sassy, brassy and classy Sassy and somewhat spoilt Princess Loreen and Brassy and kind of brash Prince Nathaniel are kidnapped and held prisoners in a dungeon. Each one insists that they do not need or want each others help in trying to escape but soon learn that they must work together if their escape is to be successful. There is quite a bit of dialogue but it is needed to progress through and explain some of the intricasies that occur along the way. The graphics are good clear and colourful even if the characters are somewhat cartoonish in appearance the rest is drawn quite well. The hint book is a great idea and provides help in stages and enables you to try and proceed by yourself and if you get stuck can refer to the next step. The puzzles and minigames are not exceptionally difficult and some are easier than others but most are rather ingenious and clever. The hidden objects are not your usual piles of junk but entail looking for pieces of items to help each character progress through the labyrinth of problems and dangers facing our Royal couple in their endeavours to escape. A good game which ends as expected. Rated 5 out of 5 by stuw from This Was Great Fun I dont often give this higher rating to many games but, I read the reviews before I bought this game and I was not disapointed, its a light hearted game with alot of fun. No messey HOS like alot lately. Very good graphics, Good sound and voiceover comments. Puzzels were not hard but needed some thought. Overall this is a great little game just hope that if there is a next one the qualitity is as good But a bit longer would nice. So if you want to play something different try this. Rated 5 out of 5 by bassetfred from What a great game! Now this was an adventure game i really enjoyed. The narrated story blended in perfectly with the game, the puzzles were right and not too difficult (very easy in fact), The graphics were good, though could have been better at some points. The characters were funny and well developed. Overall, a very good game. Rated 5 out of 5 by Giji from Very enjoyable! I really enjoyed this game. It's not your typical hidden object game and the story line is cute and the puzzles were entertaining as well. It was a pleasant way to spend some time...I'm hopeful for Royal Trouble 2! Rated 5 out of 5 by ramoss76 from Royal Favorite Had fun with this one. Sometimes too easy but like the role switching. Rated 5 out of 5 by gmac1007 from Who Knew Trouble Could Be So Much Fun ! I loved this game it was so fun and full of humor. You get to play as two characters who are trying to escape from a kidnapper and both start out hating each other but realize they have to work together in order to escape the castle. There are all kinds of little puzzles and quest's you have to do for other people in order to get them to help you. My only complaint is that the game is way too short but still worth it as it is just so cute and fun. The graphics are very nice and crisp everything is easy to see and the hint system is very generous. I do hope there will be another chapter to this one. Awesome game thank you Orchid games and Big Fish for a whole lot of Royal Fun ! Rated 5 out of 5 by gatula from something diferent nice game, with it would have a bit longer story line. and a bit more chalaging in the second tower. but good fun , nice grafics and music . Rated 5 out of 5 by IssaquahGamer from Still Smiling! This game is so cute and so much fun to play. The dialog makes me laugh and smile. I would like to find more games like this to play. I have gotten a little tired of the usual hidden object games. I enjoy games that require you to use several items together to solve the puzzles. Rated 5 out of 5 by halliecat99 from Fun and funny - total brain candy Loved the main characters - it had a sort of "Romancing the Stone" vibe. Or maybe more like "Monkey Island". The challenges weren't that difficult, but the overall story was so cute that it didn't matter. A great way to spend a lazy afternoon. Rated 5 out of 5 by sereneorchid from Feisty, entertaining, fun A feisty princess, a devil-may-care prince, and a desire to escape from being held prisoner. Great artwork and storyline. 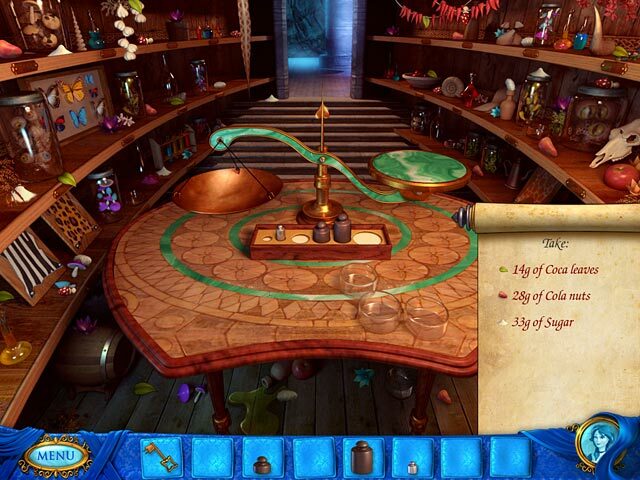 The hidden objects are really puzzles to help the bickering duo escape from various rooms and situations. I appreciated the hints in the diary, which started off vague and got more and more explicit as I needed them. Lighthearted, entertaining, and good fun. Rated 5 out of 5 by Tikatoy from Lovely, humorous adventure game! I fell in love with this game from the beginning when you're trying to escape from a dungeon and have to assemble a makeshift bomb to blow up the door... only to find out afterwards that the door was actually open! There's humour like this throughout the game, and the two protagonists Loreen and Nathaniel (who you take turns playing) have an excellent bickering/flirting relationship much like Guybrush Threepwood and Elaine Marley from the Monkey Island adventure games. Graphics were nice, with an attractive soft glow, but the music was repetitive/unexceptional. There were some interesting puzzles, but most were of average difficulty. This is an adventure game, not a hidden object game (aside from 1 or 2 scenes), and as such it will be shorter just because hunting for hidden objects is a time killer, but it's a good length for an adventure game. Rated 4 out of 5 by sothimk from Cute, But Short A solid adventure game. It had some puzzles of varying difficulty. 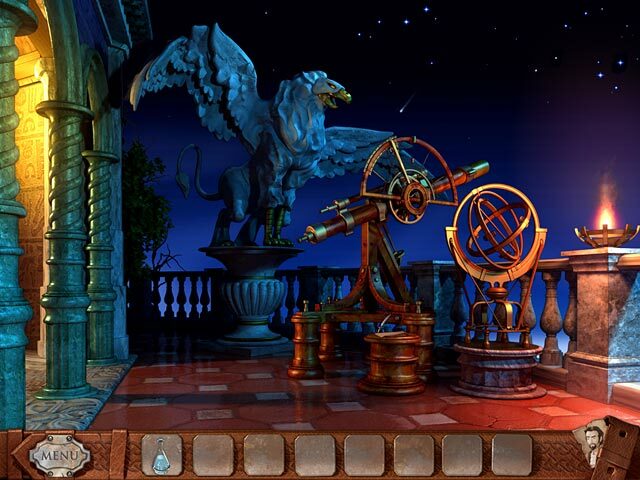 For me a big plus was that there were no hidden object screens. An interesting twist was that the action switches back and forth between two characters. Even though you are only playing one character at a time, both characters have to cooperate in order to win. I would have liked more. Rated 4 out of 5 by Sinnergirl from Fun but short game This is a good game if you want something simple for a rainy day in. The graphics are good. The "puzzles" aren't extremely difficult #you won't need hints#. The storyline was cute until they threw in some random romance. I would give it a much higher rating if the gameplay was a little longer.